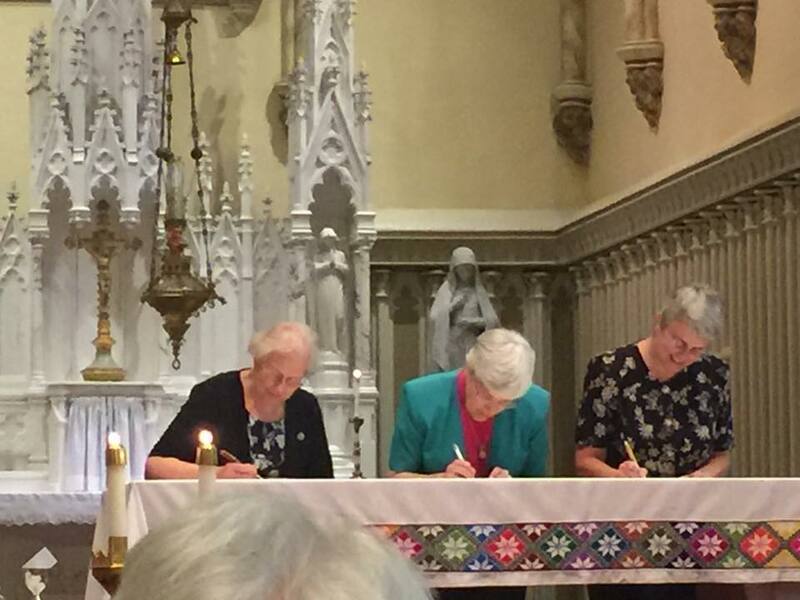 Congratulations to Sr. Judy Donohue, SCN, who professed her first vows as a Sister of Charity of Nazareth on August 26, 2017. 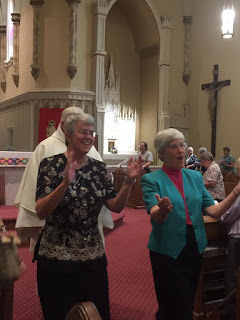 Sisters, Associates, family and friends joined Judy for the liturgical celebration, which gave witness to God’s infinite love, in and around us. We are grateful for Judy’s ‘yes’ to the call to religious life. May she continue to be ‘impelled by the love of Christ’ as she continues her journey as a Sisters of Charity. Congratulations Sr. Judy, SCN! Off to celebrate after a beautiful Mass! Future of Charity members joined Judy for the celebration. Working with men and women who have experienced intimate partner violence and sexual assault is never easy. Day in and day out our staff is entrusted with the responsibility of being present to people at a time in their lives when they are most vulnerable, emotionally and physically. Our responsibility to build trusting relationships, model love, offer support, share information and resources, explore coping strategies and develop safety plans is a great responsibility and it is indeed a great privilege. But being present to another’s deep suffering comes at a cost. Engaging authentically with each person and their situation and at the same time realizing that the needs of our community far outweigh our capacity is a burden that is deeply felt. Our staff routinely fears for the safety of those we serve and have to cope with the unknown of what happened to the person after completing the call or transitioning out of our emergency shelter. And yet, our staff keep on keeping on because the phones continue to ring and the shelter remains filled to capacity. On August 4th a woman in our community was killed by her partner and one day later another woman killed her husband in order to survive a violent attack and extensive history of domestic violence. I won’t disclose whether or not these women were served by our agency. Either way, they are ours. Every day we field calls and provide shelter to people just like them; men and women at risk for being killed by their partner, the person who is supposed to love, cherish and care for them. It is in these times especially that we must recognize seeds of hope even in the midst of extreme suffering and tragedy. Perhaps it is simply acknowledging the courage it takes for a person to call and share their story, in the woman who thanks you for believing them, the one who can acknowledge it isn’t her fault, perhaps it is in the person who says they feel stronger and more confident in their plan or the one who feels safe in shelter. I believe it is no coincidence that a former client chose this week, in the midst of our grieving for those whose lives are lost to intimate partner violence, to stop in and let us know she is doing well. That she is safe, still working, has an apartment and has regained custody of her children. In spite of the heartache and tears that sometimes accompany this work, it is the seeds of hope and the knowledge and belief that what we do makes a difference in the lives of so many people. This hope is what brings our amazing Advocates back day in and day out. This week marks the one year anniversary that our dear Sr. Paula and her great friend, Sr. Margaret were killed. Many are devastated and outraged by the atrocity in Charlottesville that cost Heather her life and injured many others. As we go forward wading through the tragedy and heartache that surround us may we be the seeds of hope for others and always be instruments of love and peace. At the end of July, I traveled to Pedro Carbo, Ecuador, with the Sisters of Charity Seton Hill interprovincial charism experience. Each year, Korean and American Sisters visit and volunteer at the Korean sisters’ mission, a clinic and school for kids with special needs. This summer marked my fifth time accompanying the group as a Spanish interpreter. At the end of the week, I led a retreat with SC discerner, Marylu, for school staff, clinic staff, and local parishioners. The Sisters asked us to focus on the 400th anniversary of the charism of Charity. Preparing the retreat was profoundly enriching for me. As I delved more deeply into the roots of the charism to which I have vowed my life, my own understanding of my call deepened and expanded. How did the charism of Charity come about? And what does that mean today? 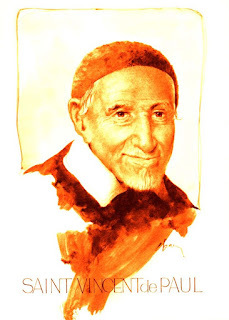 Four hundred years ago, in January of 1617, St. Vincent de Paul experienced a conversion moment that would drive the course of the rest of his life. In the northern French town Folleville, he heard a confession at the bedside of a dying peasant who had lived a life of loneliness and pain. Vincent’s heart moved within him as he received the man’s suffering. He realized that this man never, in his whole life, had experienced God’s powerful love for him through another person. And he realized that many on the margins were equally spiritually abandoned. Vincent’s mission materialized: to bring divine love to all. The mission overcame him with beautiful urgency. He knew he must spend every day of his life trying to make sure that no one would go without the love of God. He felt especially urged to the margins, to those people who were poor, excluded, and oppressed. He felt called to enter into relationship with them and to align his worldview with theirs. He felt called to make love visible through service. Vincent said, “…Let us love God, but let it be with the strength of our arms and the sweat of our brow.” This mission tugs at my heartstrings. I am called to make God’s love visible, concrete, tangible. In my encounters, do I embody love? Do I feel the same urgency that Vincent felt? August of 1617 brought the second part of Vincent’s conversion. This month 400 hundred years ago in Chatillon-les-Dombes, France, he became aware of a peasant family who was dying of hunger. He preached an impassioned sermon begging for action on behalf of the family. The whole town responded with great generosity, and the family had enough food for a few days. Vincent was touched by the outpouring, but he was also troubled. What would happen when the food ran out? Vincent had an epiphany that became central to the charism. In order to make a sustaining impact, we must organize. Over the next years, Vincent recruited other priests, sisters, and laypeople to help in his mission of love. They tackled the major social injustices of their day, responding to needs for healthcare, education, and more. Vincent also became an advocate for systemic change. Throughout his life, he maintained relationships with people of influence, making them aware of important issues and urging their support. Late in life, he served on an advisory council for the Queen, where he kept the needs of the poor before her and fought for just legislation. Our charism insists that God’s love must be made manifest through action, and that must happen on an individual as well as a societal level. For those not familiar with our charism, common definitions of the word “charity” could be problematic. The thrust of our energy is not one-sided aid, welfare, or relief. We are urged by the love of Christ to make that love evident through service and seeking justice. Racial justice activist Dr. Cornel West says, “Justice is what love looks like in public.” In the wake of the horrific display of hate in Charlottesville, that succinct but powerful phrase is a call to those of us who claim to live the charism of Charity – and to all Christians. Charity may begin at home, but it must not stay there. We experience the marvelous love of God in our lives, and it compels us to act. Where there is hatred, we cannot be silent bystanders; we must sow love. Our lives must make clear the love of Christ. In our daily encounters and in our social and political engagement, do we make divine love visible? Mother Teresa of Calcutta, founder of another charity tradition, said, “Do small things with great love.” Yes, AND: Do big things with great love, too. These times need the fire of Charity. So that all may lead elevated lives. That we never reach out or meet a challenge alone. How Free Cell reflects that God is always giving us another chance and another chance! 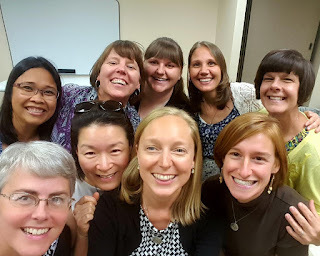 On July 26, I finished up my vow prep retreat at the Mercy Retreat Center in St. Louis, MO. While there I met several people on retreat, and at mass. I noticed how meeting the two Mercy Sister Canonical novices for lunch, Kelly and Moira boosted my spirit. It was so nice seeing other women in the Novitiate. We shared the joys and challenges of being in formation. During my retreat, I met with my spiritual director each day. It was freeing to share everything that was on my heart and to share with her my fears, hopes, dreams and feelings. She was a comforting listening ear. I walked the Labyrinth each day reflecting on the changing of directions and my own experience of changing feelings and paths. I did some colored pencil coloring, walking and quiet prayer in the chapel. In reflecting on God’s goodness to me to have come this far, I looked at what a grace the vows have been. Obedience reminds me to ask for help when I need it. I am not in this alone. Poverty reminds me to be a good steward of all I have been given. Chastity reminds me to treat each person with respect for we are all trying to do our best. I am grateful for my vocation and the time everyone has put into making me the person I am today. I’ve also noticed at night before I go to bed, when I played free cell on my IPad that I could play again and again and again until I get it right. This helps me understand that God allows us to keep learning lessons until we get it right. This realization helps me to be patient with myself when I want to know everything now. I have to wait like everyone else. God’s love is more patient than mine. God is able to take me where God wants me to go. I have enjoyed the ride. Keep me in prayer for I will be making my vows in 24 days on August 26!